Defeating evil is a nice dish to have. First of all, what you need is patience, a nice ear, a lot of oxygen, a creative mind, a reading eye, and a serious looking face. Keep the dish away from grins, puffs, irritation, and a short sighted mind. The personal ability to get out of arguments comes in very handy. Today, the world is facing a phenomenon never before seen. People living amongst us thinking that they’re giving a lot back to society when in fact they are evil spreaders. They don’t believe they are evil, they don’t want to be evil, they despise evil, but in fact, they are evil. How is this and why is it happening? Let me explain. There is a formula, a very dangerous one, noticed today in and around the Middle East and the world as well to some extent. 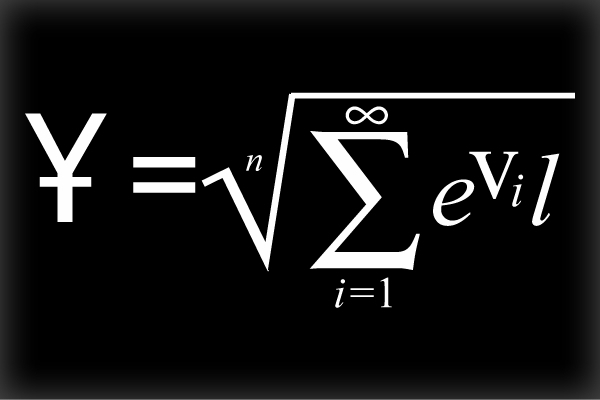 This formula has only two factors, education and democracy. When you mix bad education with democracy, the result is bad, very bad. Many activists in and around the Middle East are strong believers in democracy, or more so believe that if they rule, they can do a much better job than what is currently being done by the existing regime. They look at political parties and see that every single citizen is represented in them. Hence, when they run for office, they would do so on behalf of the people. You see, the difference between someone who knows and someone who doesn’t know is not in the size of knowledge each person has relative to the other. Let me give you an example. Two people, one that knows the alphabet up to the letter G, and another up to the letter L. The second person knows more letters, so does that mean he is better? Maybe, but what I am trying to explain is that it is not about how many letters a person knows, but more about knowing that there remains much more letters he doesn’t know, and that he knows and acknowledges the limitations of his knowledge. In short, it’s not what you know, it’s more about do you believe that there is always more to know, and that there is always a large chance you may be wrong? Political parties today act as if they know it all, and most refuse to listen or to open a door of knowledge for better ways to rule and govern. They look at the amoral political freedom in the West and believe that public constructive criticism is a form of modernization to the Middle Eastern society. Well, this may be true, but the time is not right, and all what comes out of it is nothing but evil. Some western ideologies if implemented today in the Middle East is not considered part of modernization, but Westernization. There are a series of steps that needs to take place before implementing those specific democratic institutions that brings nothing but harm to our societies when not done right. First, we have to acknowledge that culture changes, but changes much slower than globalization and the speed of social media spread. Second, we have to establish the correct institutions that prevents social segregations, constrain leaders from corruption and towards active performance, emphasize accountability and enforceability, and most of all, a complete overhaul to the education system. After this, we have to engage with the changes, adopt them so that they can be part of our lives, so that we develop a much better culture than the stalled one we have right now. Defeating evil is not easy, it takes time, will, patience, and a lot of oxygen. There is a process, and the is no other way than this. The majority in the Middle East aren’t able yet to suppress their emotions for the collective good. Instead, when given the chance, we notice that many are casting their votes with stones. ‹ It’s a Small Island After All! It is straight to the point! Begin: Take charge of your life by beginning something that you have always wanted to do. If your goal seems overwhelming start small. Imagination: your imaginations have no boundaries “dreaming about something is always the first step toward achieving it”. Laugh: laugher is direct road to the soul it broadens your perspectives, keeps you healthy and makes an unbearable situation easier to deal with. Seek: allow yourself to grow by exposing your vulnerability and insecurity, do not live strictly inside your comfort zone don’t always play it safe. Play: we can always find something that “needs to be done” and we forget how to have fun. Make a conscious effort to take time off, you will feel refreshed and able to think more clearly afterwards. Trust: “being paralysed by indecision is worst than making a wrong decision” you can not grow if you don’t trust your inner voice. Create: creativity maintains the balance on your life. The more we use our creativity, the most is develops. Connect: relationships are what pull us through the hard time and make the good times meaningful. Take time to nurture the connections that uplift. Touch: humans need touch to survive and thrive. Do not forget to hug your loved ones. Pat your friends on the back literally and figuratively. Forgive: forgiveness is life given because it puts you in charge you become empowered. Hope: “Hope is the knowledge that even in worst of times we can triumph over hardship and sorrow and grow the spirit” hope is what sustains humanity. Choose: “we cannot always choose our circumstances but we can choose our attitude towards them”. Happiness: it involves given freely to others and not necessarily wanting something in return. Write: words are freedom, words are power. Release: avoid doing something just because everyone thinks you should give your self permission t relax. Those words will teach us to be observer, positive, constructive, patient and fast-learner. This is the kind of citizen needed in the Middle East to move forward. If we do not do mistakes means also that we are not doing anything but the strength is to acknowledge our mistakes and try to correct them. I do apologize if my comment is a long one.